Composed by Jay Rouse. Choral, cantatas. Advent, Christmas. SATB and performance CD. Medallion Music #65/2097MD. Published by Medallion Music (LO.65-2097MD). Behold, A Savior! is a portrait of a promise and a portrait of the fulfillment of that promise. 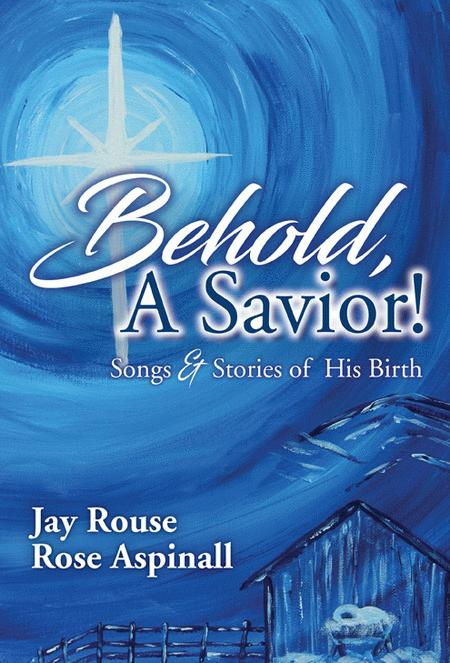 Throughout this musical, Jay Rouse and Rose Aspinall skillfully weave scripture and dramatic first-hand accounts of the birth of Jesus into beloved carols and original songs. 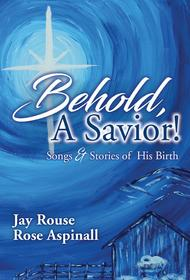 Each monologue and song will take you on a journey--from the longing of Zechariah, the joy and acceptance of Mary, and the courage of Joseph to the accounts of the shepherds and wise men. Designed with flexibility in mind, these songs and stories can be presented individually across the Advent season or in their entirety for a special event. An optional introduction and closing narration, accessible solos, and gorgeous orchestrations add to the flexibility and will make this one of the most practical collections in your library.